How can you go wrong with a pineapple motif AND a monogram??!! Definitely one of the best combinations and most classic you could choose for any design. 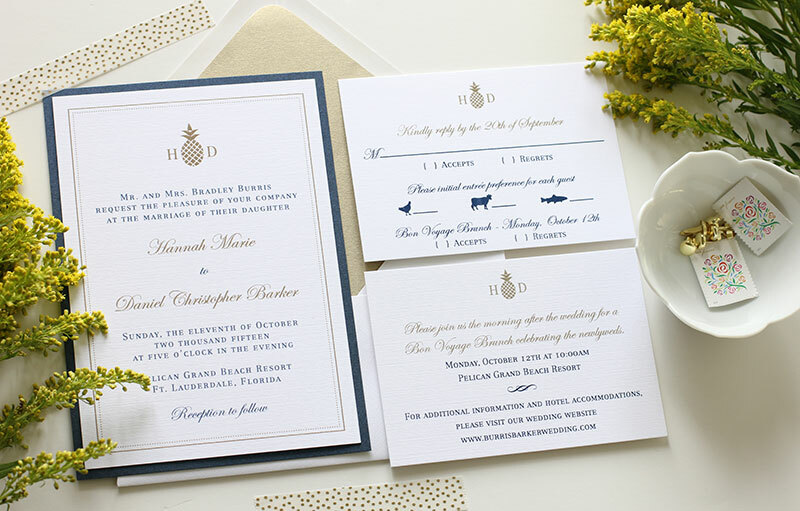 Then to use the elegant print color combination of metallic gold & navy is just a true home run! We used a traditional script paired with a traditional roman font for Hanna & Daniel's thermography printed wedding invitation suite. 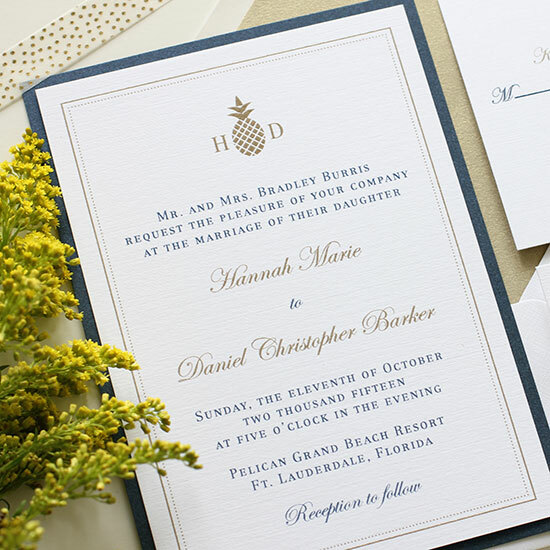 They chose our Preppy Pineapple invitation design and added a monogram to create the perfect wedding invitation.